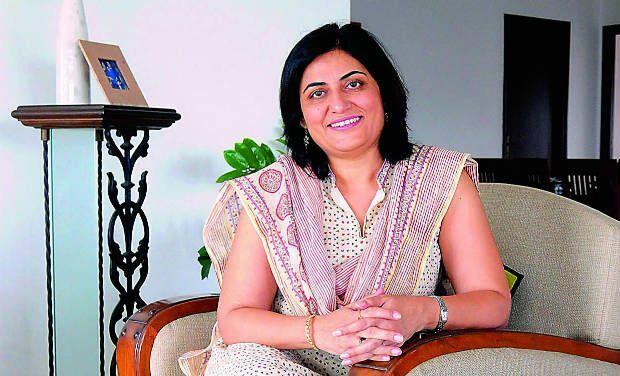 One of the very few women CEOs in the media and entertainment industry, Apurva Purohit is a smart leader and a visionary who has built several media brands like Zoom TV and Radio City. She strongly believes in building organizations around an enabling culture and employee focus; and in encouraging diversity of opinion and thought. Her formula for success is simple: Focus on the critical drivers for the business, teach the team to manage the rest and play with a straight bat! Apurva’s experience of over 25 years ranges across partnering private equity players in building superior organizations and creating valuable businesses, and handling media businesses and brands. Prior to her entry into radio she has been part of the television space where she worked with BCCL & Zee Telefilms. She has launched successful TV brands like Zoom, India’s first lifestyle channel and also fashioned the re-launch strategy for Zee TV, the flagship channel of Zee Telefilms. She is credited with bringing into the country the concept of consolidated media–buying by launching the first ever independent media buying agency, Lodestar in 1995. She is an Independent Director on the boards of Mindtree Ltd, a global information technology solutions company with revenues of over USD 430 million, Meru Travel Solutions Ltd, India’s first radio cab service and Midday Infomedia. She was the first President of the AROI, the Industry body of the radio industry, where she was at the forefront of several industry initiatives like the resolution of the royalty issue, the structuring of the Phase 3 policy and the evangelizing of the medium amongst advertisers. She is also a member of the Ministry of Information and Broadcasting’s Sectoral Council on Innovation. She is a partner in Social Venture Partners India, a coalition of influential leaders committed to helping solve complex social issues through personal philanthropy, advocacy, and capacity building. She is also on the advisory board of BizDivas Foundation as well part of the Board of Governors of MRUC, the apex media and advertising body working on research. Over the past 10 years she has led Radio City through a cycle of ‘Build-Grow-Consolidate’ partnering IVFA, one of the oldest and most experienced private equity players in the country with ~$1.4 billion under management and recently managed a successful exit of the business to the Jagran Group. Under her leadership Radio City has grown from a 4 city to a national presence across 20 cities, and is a leader in many of the markets it operates in. Radio City has also won several best practices awards and been voted as the Best Place to Work in Media and is amongst the top 25 Great Places to Work across industries. 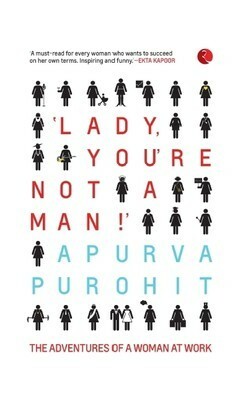 She is also the author of the national best – selling book “Lady, You’re not a Man” – the Adventures of a Woman at Work, published by Rupa Publications which is currently getting translated into several regional languages. She lectures extensively on leadership choices, building successful organizational cultures and on issues and themes arising out of the diversity initiative businesses are dealing with today.